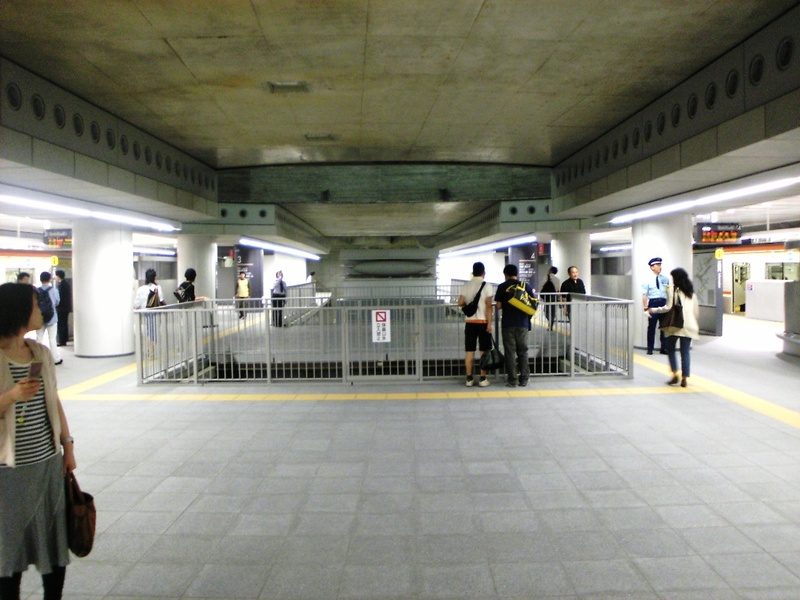 The new subway station on the F-line in Shibuya is remarkably large, spacious, and modern. 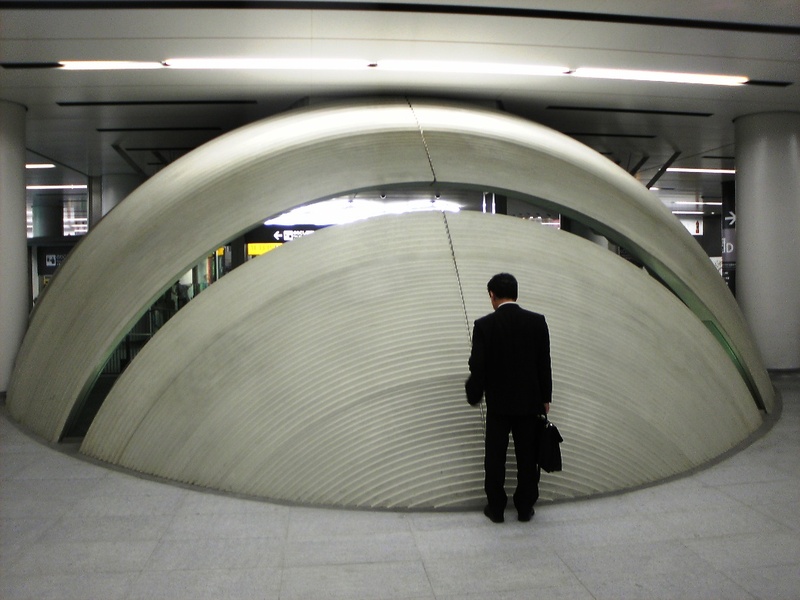 It reminds me of the subway system in Washington D.C. for all its brushed concrete blocks and cavernous oval underground spaces. Even now a week after it opened there are still lots of people with cameras snapping away at its sights- of course, including me. 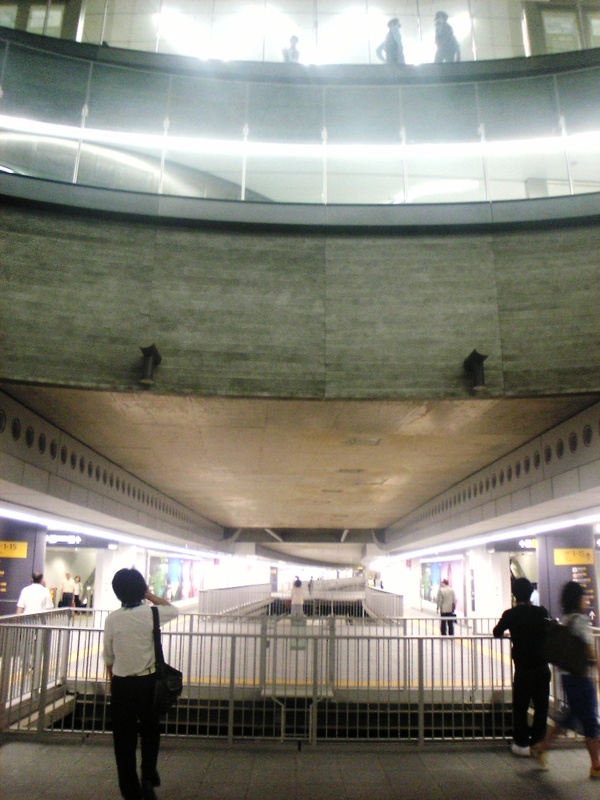 This is the concrete hub squatting over the escalators down. 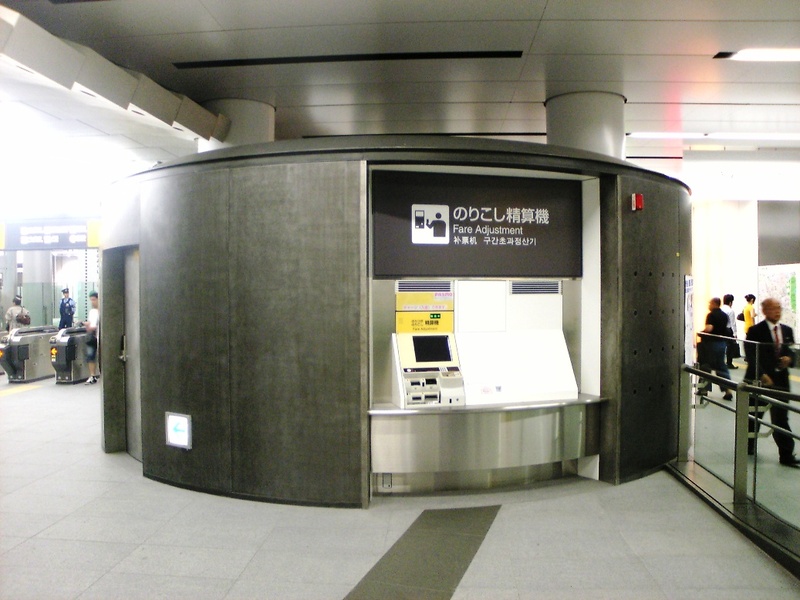 Brushed steel Fare Adjustment Kiosk. 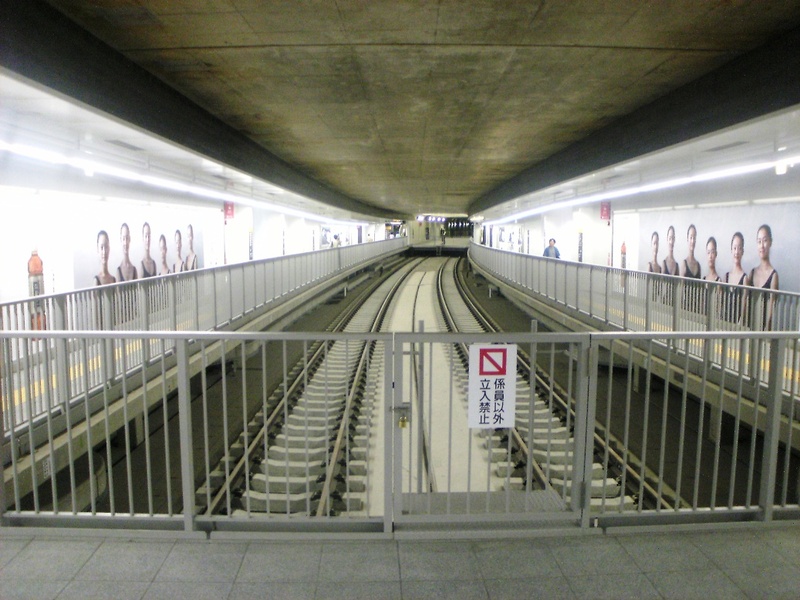 The platform is massive, with these extra two tracks running down the middle. I suspect they are designed to be used in an emergency, such as a city evacuation. 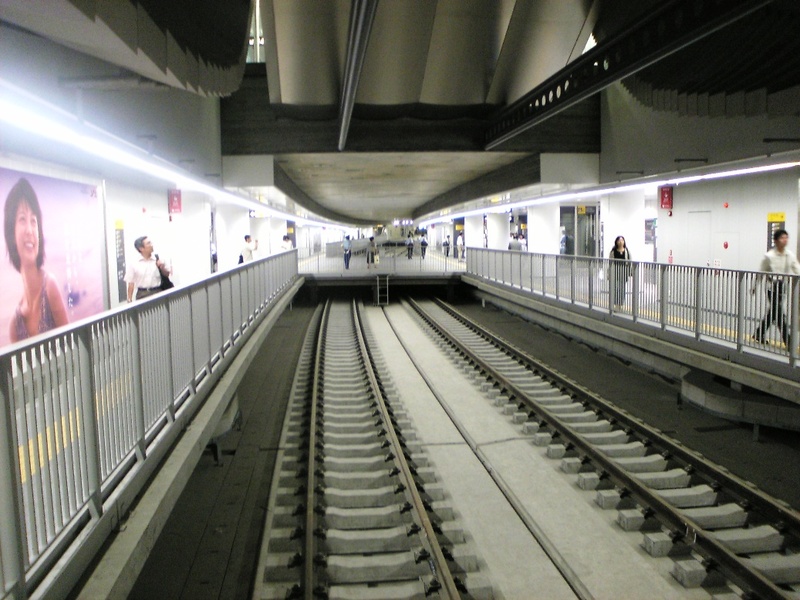 The walkways will be raised up, trains stuck on the un-used track, and people ferried out to Saitama double-time. 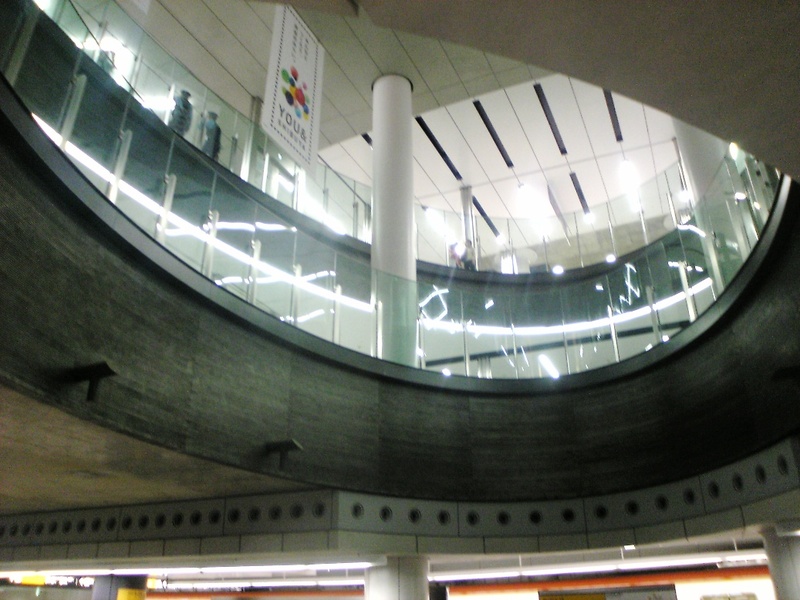 Either that, or they’ll put them into operation during projected peak times, such as if they win the 2016 Olympic bid. 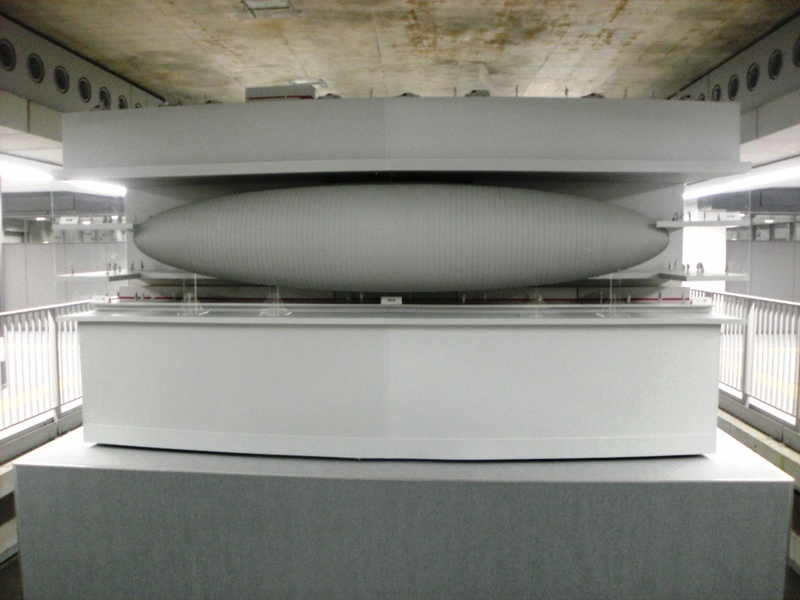 A model of an underground concrete zeppelin that is weirdly overhead. I couldn’t quite fathom what this was, but it is interesting. This is a hole up through the bottom of the zeppelin. Here’s the tracks below and the inner-zeppelin area above. Here’s a stretch of removable walkway covering emergency track. The expanse again, the zeppelin overhead. Those are some good pics. That is a really nice looking station, much better then any of the subway stations in Los Angeles (of which there are few). Those unused tracks with the walkways over them are interesting. I wonder what they are for also. Future expansion, future express train tracks? Thanks Jon- especially since I took these with my keitai (cell-phone). Have you used the sub-way in Washington DC? It really reminded me of that. 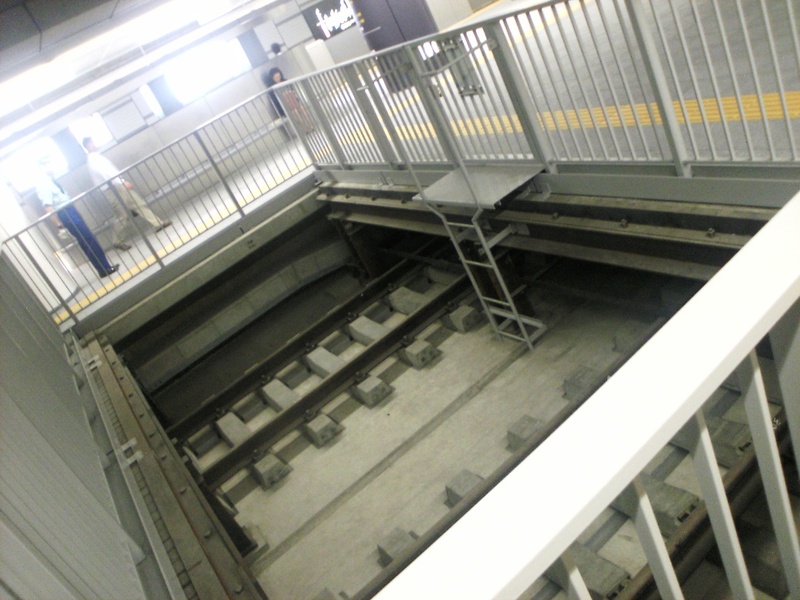 I do love the Fukutoshin platform at the Shibuya Subway station. I rode the Fukutoshin line a lot when in Tokyo in December 2008. The Griffon Tavern is very close to Exit #15 of Tokyo Metro’s Shibuya station. It’s an intriguing beer bar. Somehow, you missed this key datum which I found on a number of Tokyo subway W-WW sites: The other two tracks will be utilized no later than 2012. 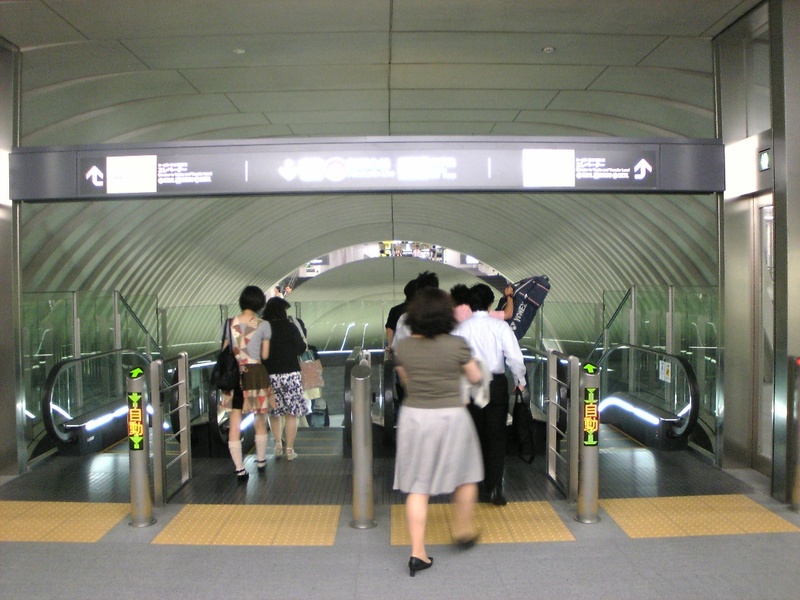 The line is going to be connected to the Tokyu Minatomirai Line, and trains shall be through-routed from Hanno, and Shinrinkoen, to Yokohama and Motomachi-Chukagai. 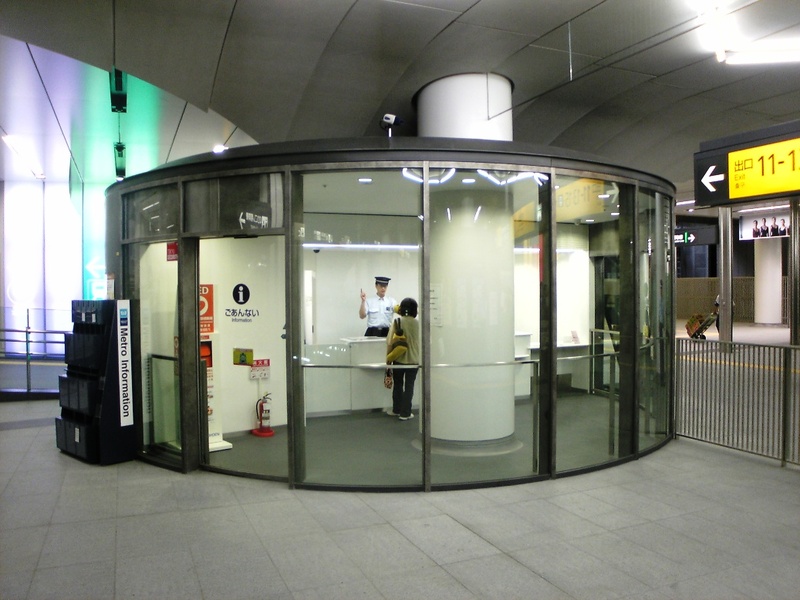 People should seek the “Tokyo Metro Navi”. The new pocket-sized issue is white with the nine route logos of Tokyo Metro lines in a grid on the cover. It is completely in Japanese, but the illustrations and maps are decipherable even to English-speakers. This is what most frequently is depleted from the kiosks at Tokyo Metro stations.